Chevalier Floatels operates its two walk to work vessels DP Gezina and DP Galyna predominantly in the offshore wind energy. Working in the renewable sector, CF is particularly aware of leaving a low carbon footprint. 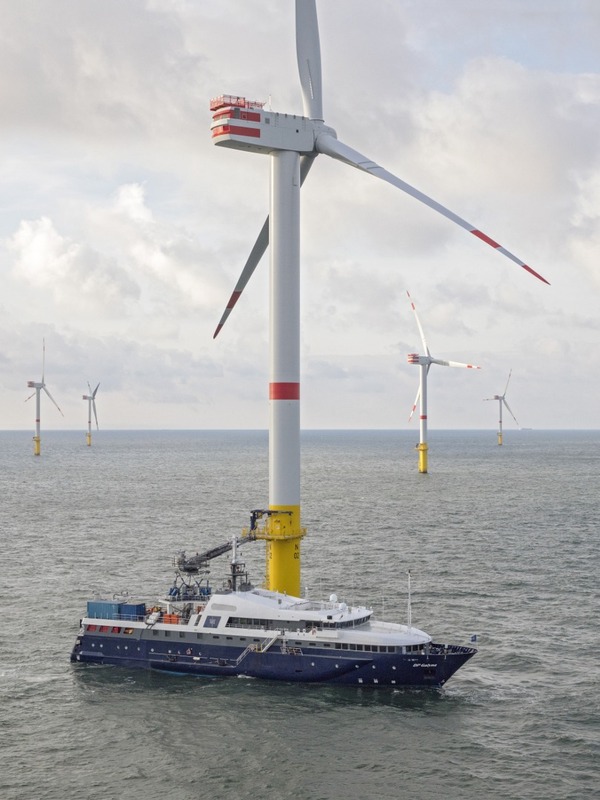 The company envisions the offshore wind industry taking the lead in creating a more sustainable (working) environment. We should set the standards and lead other shipping sectors into a more sustainable future. After all we are building windfarms for a reason! In order to keep within the two degrees temperature rise of the Paris climate agreement emphasis on emission reduction is essential. Therefore Chevalier Floatels has developed the most fuel efficient support vessels in the industry. In the past years DP Gezina and DP Galyna have consistently consumed 3mt of Marine Gas Oil per day. Comparable vessels consume between 7 and as much as 20 metric ton of fuel per day. Every metric ton of fuel saved per day means the equivalent of 4 trucks of the road, every hour! So by using DP Gezina or DP Galyna actual exhaust gasses saving is achieved comparable to taking between 12 and to 68 trucks of the road! Bearing in mind that in the trucking industry, large strides have been made in reduction of greenhouse gasses, the actual number is probably a lot higher. Chevalier Floatels takes the view that by using the right vessels and by using state of the art technology, a lot of improvements can be made. The company therefore keeps striving for even higher improvements until eventually a zero emission solution can be found. Until such time Chevalier is proud of the accomplishments achieved and would kindly invite other parties in the industry to join us in the quest to reduce greenhouse emissions in the renewable industry and in shipping in general.